I am from New Jersey, been living in NY for 9 years with a brief hiatus to San Francisco for bit. My shop is called With Roots. I was making regular terrariums for a friend's birthday last year. He loved them so much he told me he wished he could wear them, so I did some research and made it happen! I love working with all plants. I like figuring out which plants will work best in what environment. I'd also love to start studying glass blowing so I can make more custom pieces. I draw my inspiration from so much! When I'm not making jewelry I support myself with photography. So, I love looking at the way light hits objects and interacts with them. 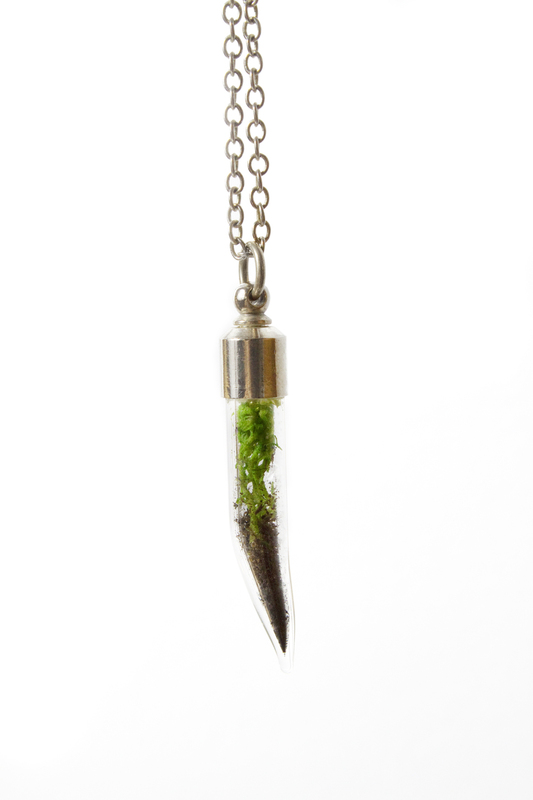 I love seeing the sunshine hit one of my necklaces because I know it's combining nature and style. Go for it! I started out just making these for a few friends and through their support I've just gone for it and have been getting such a positive response. I love it! Congratulations to Kimberly and many many thanks to Sharon from With Roots for her lovely contribution to our giveaway. Didn't win today but really want one of these? 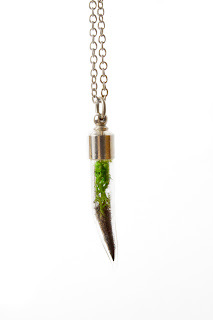 No worries, just visit her website to order your own With Roots mini terrarium necklace!